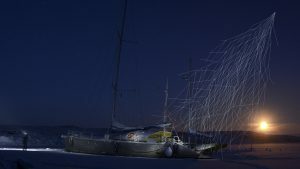 From July to August 2018, POLARQUEST2018, an international team of arctic explorers and researchers ventured to the Arctic ocean, from Iceland to the Svalbard archipelago, above the Polar Arctic Circle, on board Nanuq, a 60-foot sailboat designed to sail in the polar regions in a self-sufficient mode. Because the Arctic is melting much faster than expected and could be ice-free by 2030, and the cause is global warming. The team went in search for answers to one of the greatest challenges of our time, climate change, and raise awareness about its consequences. 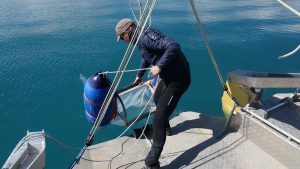 Mantanet for Microplastic – the first study to assess the presence and distribution of micro and nano-plastic in the Arctic waters above 78° of latitude. 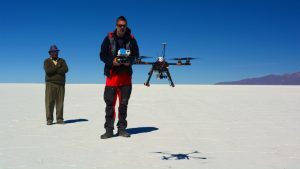 AURORA (Accessible UAVs for Research and Observation in Remote Areas) – converting commercial drones into tools for scientific research. PolarquEEEst – trying to solve the mystery of the origin of high energy cosmic rays and their impact on global warming. Pollutants in the Arctic – measuring the presence of PCBs in the Arctic to better understand its transfer and accumulation mechanisms in the oceans and atmosphere. 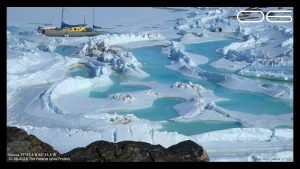 Support the Arctic with a donation to our mission! POLARQUEST2018 will study mysterious cosmic rays using the Polar QuEEEst detector. Nanuq-Manta is the first study to assess the presence and distribution of microplastics in the Arctic waters above 78° of latitude. AURORA will convert commercial drones into tools for scientific research. 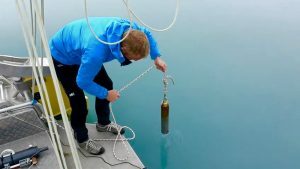 Install sensors to test the presence of PCBs in the Arctic atmosphere.